Our soil is under pressure. Growing consumption and increasing demand for resources take a toll on the soil — urbanisation, intensive farming, erosion and land grabbing are only some of the manifold consequences. Soil as matter is as much affected by these contemporary phenomena as the lives of people who have farmed for generations. Out of Soil examines these different aspects and blends play and politics, performance and participation. How much ‘land’ is in your daily food? 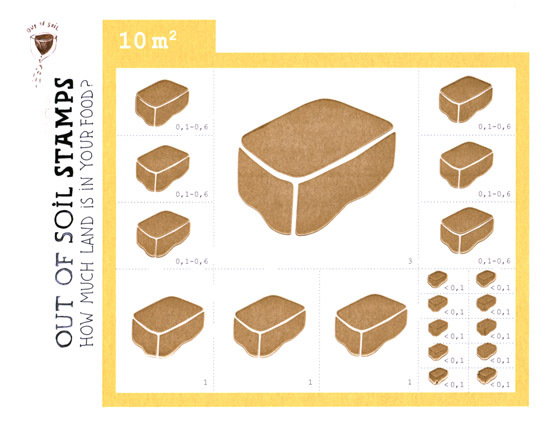 Each participant receives Soils Stamps, which represent 10m2 of land. 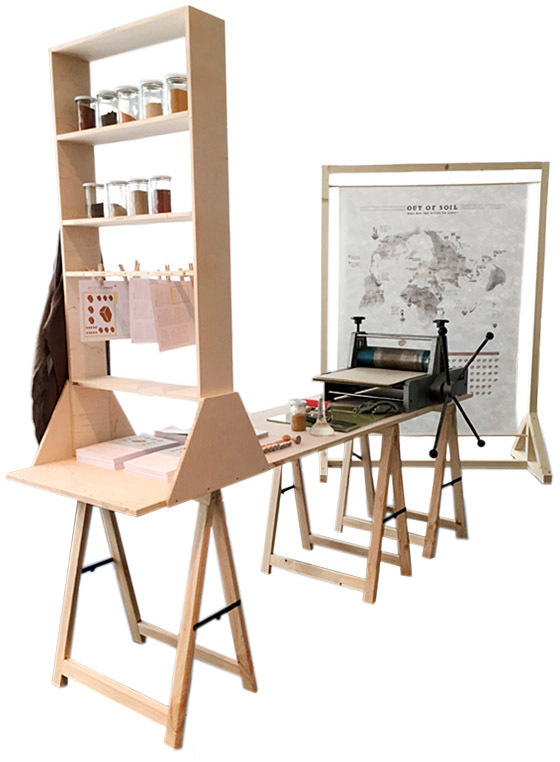 The stamps are printed at the Soil Press Station with paint made from soil. The Soil Stamps resemble food stamps, thus reminding us that food can only be produced in exchange for other resources. They are stamped according to what people consume in a day. For example, to grow 100g of fruit or vegetable, less than 0.1m2 of land is needed. For 100g of beef, you need 3m2 of land. Who has the right to land? 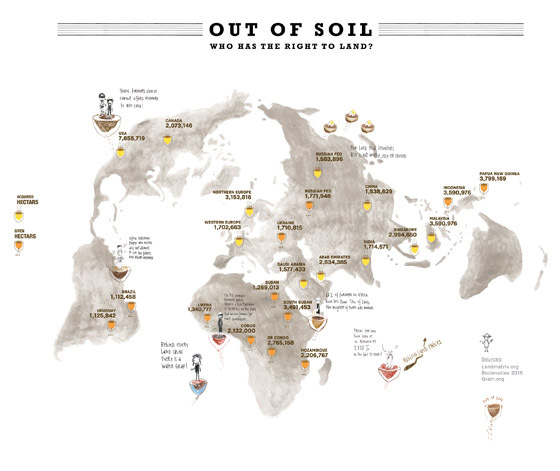 The Out of Soil Map illustrates the issue of large-scale land acquisitions: the buying of large pieces of land in developing countries, by domestic and transnational companies and governments. These transactions have long-lasting consequences for the local and regional agriculture and ecosystems, for farmers and the provision of the local population.